Dwemer had there way with use and development of technology but they are gone. By technology i am talking about any tools that improve one's lives from fire, club, thru wheel, bow to siege machines, steam machines. What is the usage and development of any and all forms of “technology” by different(all main) races ? Or simply certain races don't bother much because how they are good with magic ? Quick question for you OP: since you're using the standard of 'it improves people's lives/makes a task easier', why aren't you counting magic as a technology? I do recall a quest in the Alik'r where one of the shipbuilders had made some advancement in shipbuilding and you had to go get the blueprints. And outside of ESO, some time between Oblivion and Skyrim they figured out how to farm Nirnroot. So there are advancements being made. They just tend to lose them thanks to multiple wars, Daedric invasions, plagues and no internet to spread any new discoveries. Bows and Crossbows with Explosive Bolts already exist, and that's a big step in the right direction, not to mention the wide use of....what is it called in-game? Kindlepitch! (actually had to spend a few minutes searching for that..) I'm pretty sure that's not too far off from, if it isn't already, Gunpowder. From what we've found in-game(s), the Dwemer were the most advanced technologically, they turned Magic into a literal Science and reached quite far with it, exploring and understanding the Mundus and Aetherius. They mastered Robotics by implanting filled Soul Gems into mechanical forms which then became their primary Military and Labor force. After them I'd think the Alyeid were on their way, they were definitely an established power but it doesn't seem like they really held much love for progress. Dwemer had a mastery of machine technology that the other races can't seem to touch. If there are other races of which some members create machinations of similar level, they are one-off progressive geniuses whose ideas seem not to spread, whereas with Dewmer these things are at the core of their culture. And I wonder why that is? Even in an insular society, advancements like such widespread use of machinery and tech would have a way of leaking out and if not adopted, then at least being experimented with by other cultures. Sure, plenty of scholarly or adventurous types are after dwemer stuff and we meet them often in quests. But that's a historical or archeological interest. Why not the interest by other races during the time of the dwemer? 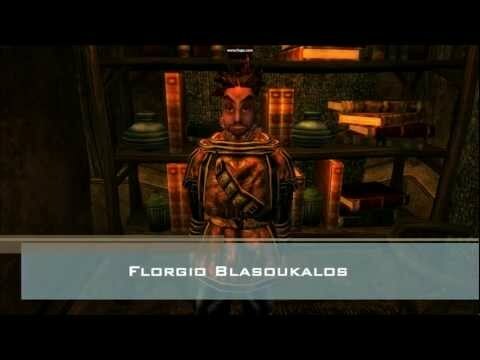 I'd love someday to experience an Elder Scrolls game set during that time, with the main story conflict centered on the dwemer's desire and goal to ascend, and other races perceptions on what they were attempting. Did they fear the dwemer? Fail at attempts to stop them? And circling back to the original post, is there a reason in there for which the rest of Tamriel is largely content with the work of their hands, leaving most of the dwemer's potential technological influence collecting dust within ruins? The Dwemer were rather sacrilegious by everyone else's standards, and despite their steam tech both the Nords and the Dunmer were able to go toe-to-toe with them (possibly others too). The former would probably discourage the majority from wanting to mess with it (at the very least Azura had taken a direct interest in stopping the Dwemer from reaching their goals) and the latter meant there probably wasn't much need. Also, we know the Dwemer took slaves (the Falmer) which would probably discourage peaceful exchange of information if this was something they did regularly. Tamriel is more renaissance than medial, the sawmills in Skyrim is an 1700 design, it an replica close to there I live, even the carriage return function is real, however its not automatic, They also have printing presses of some sort as books is common and cheap. Good chance they don't bother with guns much, the old non rifled muzzle loaders was very inaccurate, upside was that it was easy to train soldiers in using them and they worked well for large formations. With aoe magic you don't want to have large thigh formations. Cannons to break down fortresses would be useful however. I believe that's just casting fire. Join my guild at http://cloudclan.org/eso/recruitment/. Khajiit Nightblade - Shadow/Dual Dagger. My understanding of the Elder Scrolls timeline up to the time of Skyrim in the 4th era, is that the games take place in a post apocalyptic setting rather than a renaissance. The Mundus is in decline falling away from what we recognize as an advancing "civilization" with an increase in technological understanding, but instead slowly declining, coming to it's end, and moving away from technology. So we, the players of these games see that the most advanced technology is in the past, what remains in largely in ruin, and continually decaying. Dwemer technology is the most common of what we understand as advanced technology, yet the last thing they did on Nirn seemed to be to devote their knowledge, and technology to an attempt to escape, or unmake, (at least their place in it,) the physical world/the Mundus. By the time of Skyrim we learn that the Thalmor controlled Aldmeri Dominion is also now though their own methods attempting to unmake the Physical world/Mundus by erasing the idea of mortality. Also, the existence of magic seems to negate much reason to develop many offensive, defensive, and medical forms of technology. The Chimer had some sort of magical based crystal tech of starlight but that knowledge seems to have been lost when they had their social apocalypse. So, we see in the game that the Dwemer weren't the only ones with Steam technology, and industrial scale metalworking - The Daedra are as well. Think about it - coldharbour is full of relatively advanced tech and the Dremora seem to know an awful lot about it. Did they steal the tech from the Dwemer? I think it actually states in one of the loading screens in-game that the Daedra are incapable of original creations, and instead make dark and twisted copies of Nirn, so It's safe to assume all that piping and whatnot the Daedra use is copied from the Dwemer. They might have even stolen some Dwemer and made them make the steam tech - soul shrived them prior to their disappearance and enslaved their vestiges like they do everyone else.